Vintage Crystal Peacock Bracelet Only $4.63 + FREE Shipping! You are here: Home / Great Deals / Amazon Deals / Vintage Crystal Peacock Bracelet Only $4.63 + FREE Shipping! I absolutely LOVE this bracelet – it’s so colorful!! 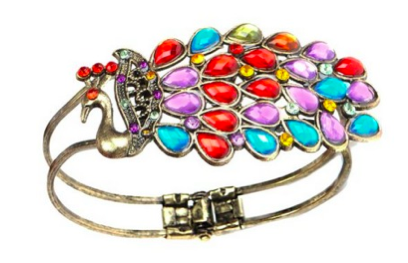 Right now, get this Vintage Crystal Peacock Bracelet for only $4.63 + FREE Shipping! It would even make a lovely gift this Christmas!